There are 100s of events happening in museums across Scotland for Festival of Museums, 19-21 May 2017 – including events at Go Industrial’s museums! At the Scottish Maritime Museum hop on board their Style at Sea: Family Activity Day on Saturday 20 May 2017. There’ll be crafts to create and games to play. In the evening, dust off your dancing shoes, pick up your pearls, or dig our your dinner jackets for their Style at Sea event, featuring an evening of dancing and cocktails. Calling all tabletop and megagamers! Visit the Scottish Fisheries Museum and join their historical game of diplomacy, commerce and competition and immerse yourself in 19th Century industry. At the Museum of the Scottish Lighthouses, have a day of pirate and shipwrecking fun celebrating Robert Louis Stevenson’s ‘Treasure Island’ and ‘Kidnapped’. Come dressed as a pirate and make your own accessorises before walking the plank! Visit the Museum of the Scottish Railywas at Bo’ness Railway for a fun day exploring one of the Victorians’ greatest legacies to us – their transformation of our railways. Their story-telling Victorian Station Master at Bo’ness Station will take you on a journey on a steam train and guide you through the ambience and nostalgia of a bygone era. 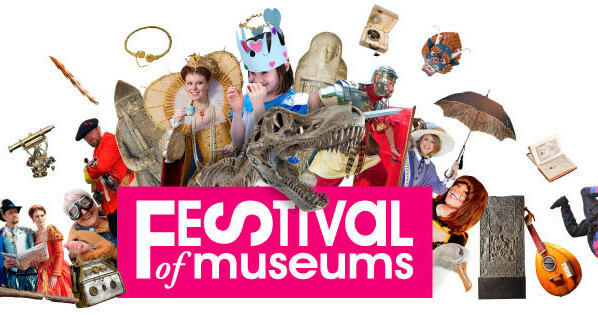 Have a fabulous, fun-filled weekend this Festival of Museums!